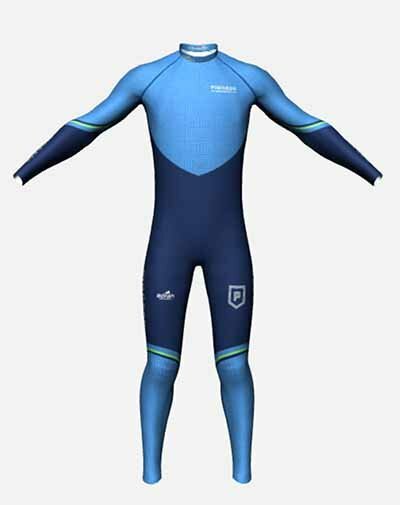 Our Pioneer Midwest Race Suits are two piece suites (separate top and bottom) made from a lightweight fabric designed to offer premier moisture management during high output skiing. An eyelet mesh pattern allows for consistent stretch and retreat for an enhanced fit and garment longevity. Not only do these racing suits look awesome, but they perform great and have a great fit, too. They provide confidence boosting looks, enhance the feeling of flying through the air on your skis and all in all help you feel and look ready for whatever races are facing.